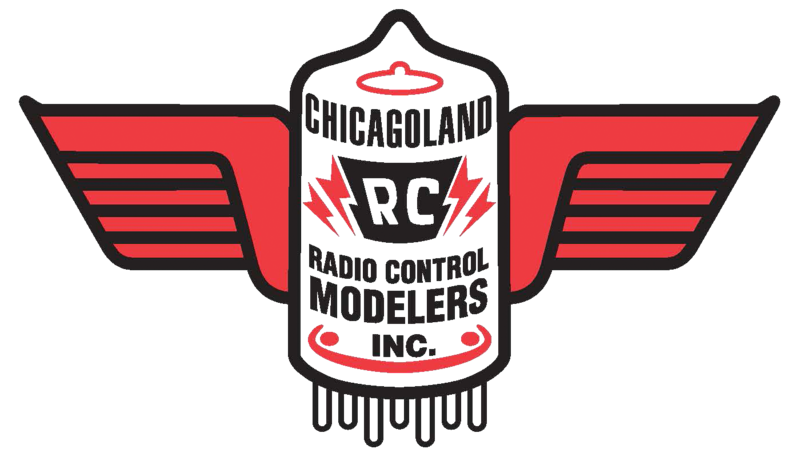 Saturday, Sept. 29: Hangar 9 Ultra-Stick 30cc Maiden: Low 60’s, cloudy, dead wind. I would like to introduce my newest addition to the fleet, a Hangar 9 Ultra Stick 30cc. It has an 81 inch wing span, is 73 inches long and is all of 14 pounds heavy. It is powered by a DLE 30cc gasoline motor and features an EME electric starter from MileHighRC. Receiver and servos are Futaba. Flight stabilization is accomplished using a Bavarian Demon Cortex (Yes, I know, I’m cheating !). The starter makes for a very heavy front end and about 6 oz of lead was required at the tail end to get a good CG balance. Overall a pleasant ARF to put together. However I did find the covering to be wrinkled almost everywhere. Some time will have to be spent to work the wrinkles out for a clean build. I also found the connecting hardware (e.g. clevises, control horn components, etc.) to be sub-standard. I ended up buying my own control surface hardware for piece of mind. I must give my friend Jaime Solis special mention as he assisted me greatly to finalize the electronics and ‘plumbing’ installation. 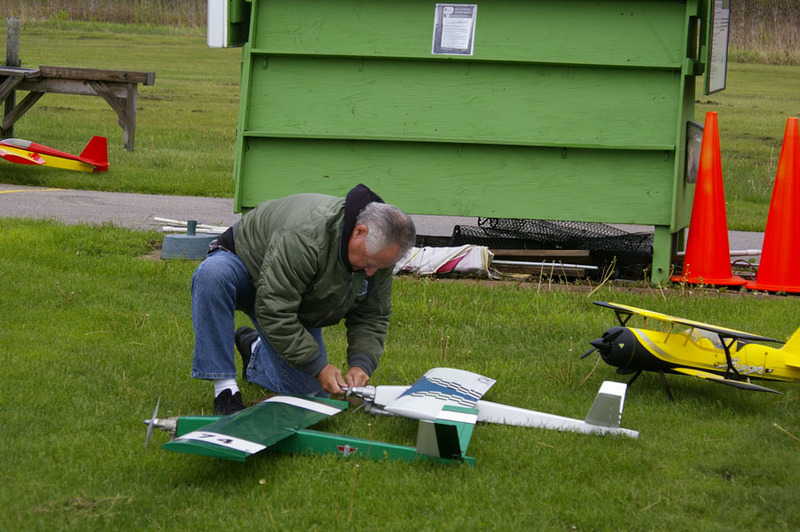 Jaime has been an aero-modeler for over 40 years and contributes greatly to the hobby passing on knowledge and ‘how to’ advice. 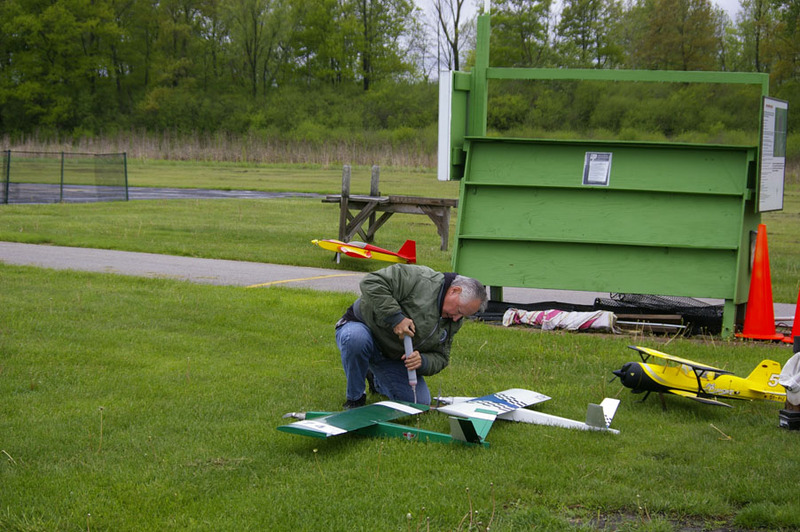 Jaime gave the Ultra Stick a good maiden flight and shake-down. The only issue was getting the DLE 30 to idle consistently without quitting. This will take some investigation. The Ultra Stick seems to fly somewhere between a trainer and intermediate 3D airplane. Depending on one’s flying prowess, it probably could do just about anything, from basic Sport flying to heavy 3D. I’m very pleased with this aircraft so far and would highly recommend it. Friday morning (July 6) seemed like a good time to get some flying in so I took the morning off from work. Unfortunately, the winds were high and gusty, so no flying for me. 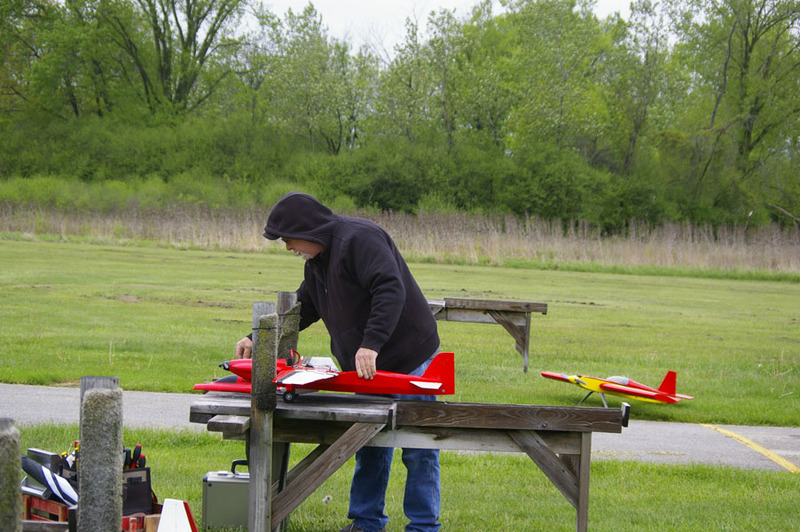 At least I did get the ole Mentor-G gas high-wing out to do a pre-flight check and carb adjustment. Anyone looking for a gasoline (2-stroke) trainer should give this plane a try. As of this post, they are still being sold online by MaxfordUSA (dot com). Very reasonably priced ARF at $239.99 (plus $30 shipping). When I purchased mine, the quality of construction and covering was superb. Hopefully they maintained the quality. I have a CRRC 26cc gas 2-stroke on it which takes a 40:1 (gas:oil) mix. 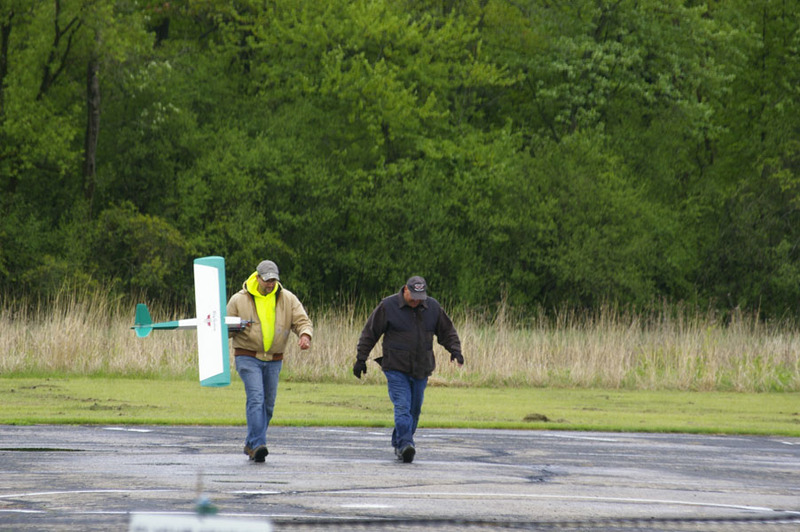 Overall wing span is 83″ and fuselage length is 60″. Weighs a hefty 11 lbs flying weight, but handles very nice and is visible. Of course, I have to put a plug in for my side interest. I also brought out the ‘ole smoker’, a TSA Infusion nitro 600 size helicopter. This one is all Futaba (CGY-750 V2 controller, servos, etc.) Just getting it tuned in for headspeed and agility. Don’t see many of these anymore with electrics dominating the scene, but fun to get out once in awhile. Enough rambling for now … until next time ! Well, our first Fun Fly of the 2018 season has come and gone. In the words of our event coordinator, “The weather was C.R.A.P. (Cold, Raining and Problematic). These things happen, Mother Nature cannot be controlled, and we shall adapt and overcome. 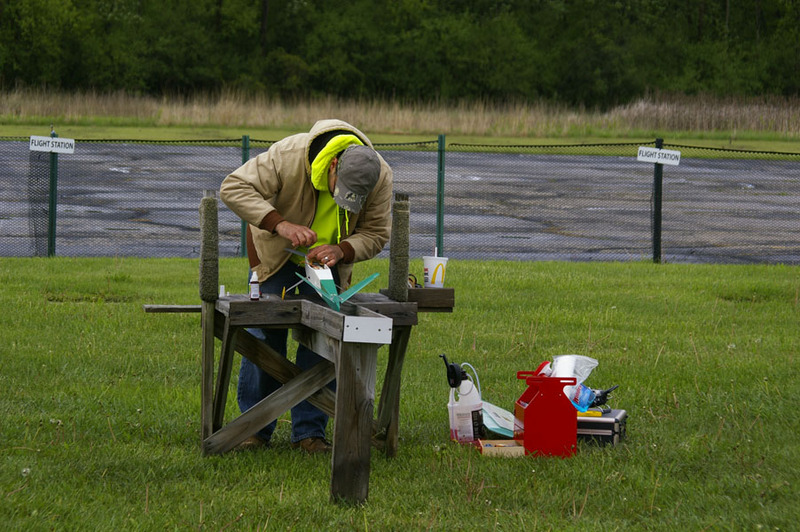 The event was called due to the weather so there will be another day allotted as a Rain Day to make up the event. Further details and a new date will be announced in the near future. 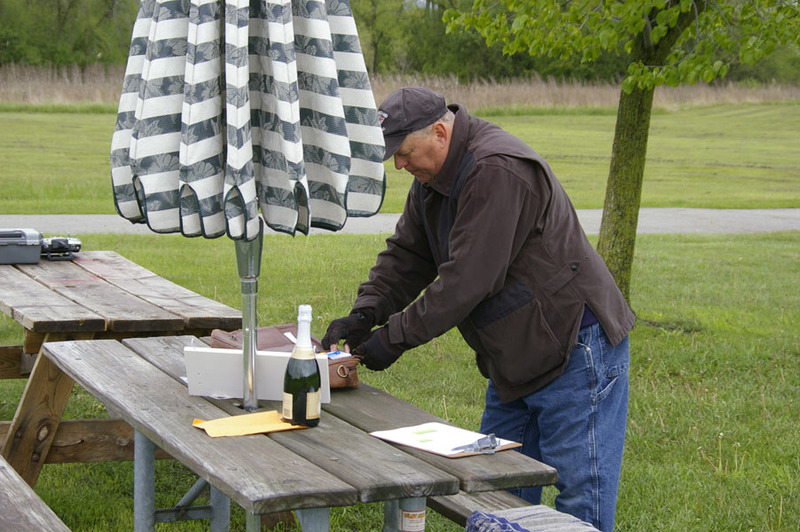 Thanks to all who braved the weather and showed up and a special thanks to Ed Kamm for coordinating the event. Pictures courtesy of Gene Snow. At the field after work for a quick couple of flights. A crisp 49 degrees, no wind and overcast. 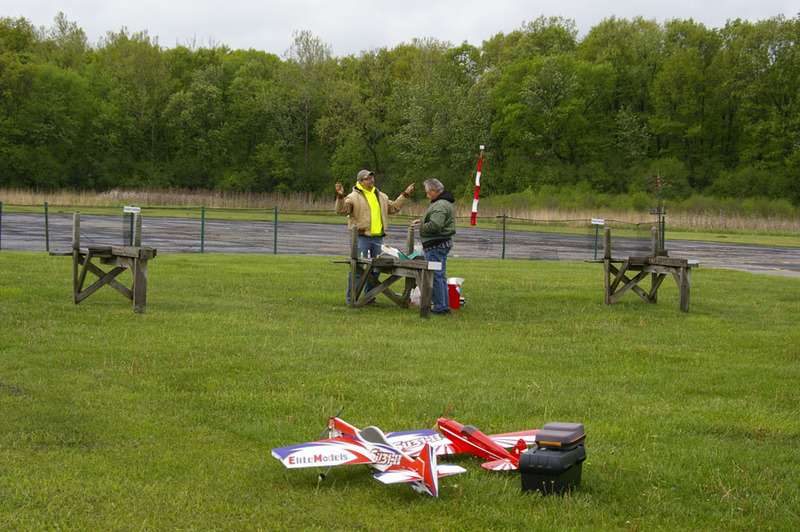 Nothing like getting a little practice flying time in with the Apprentice S+ trainer. Perfect plane for beginners or intermediate pilots looking for some leisure flying. The plane is equipped with “SAFE+” technology which means auto-leveling, flight stabilization, gps, and even auto-landing ! Push a button when in trouble for auto-level. Technology is making it easier for everyone to learn to fly ! After visiting the flying field today (sunny, blustery 38 degrees) I was reminded that the 2018 flying season will soon be upon us. A trash container filled with crashed airplane parts is a sure sign some pilots are chompin at the bit to get this flying season going ! 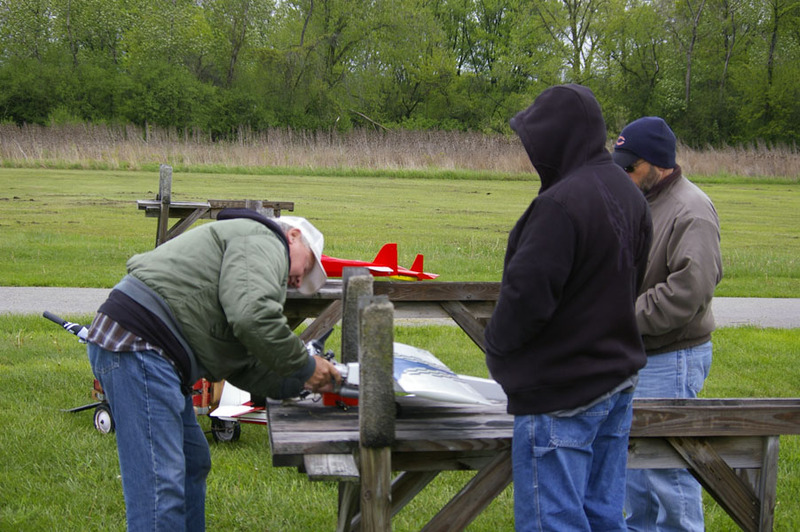 It’s also a reminder to all pilots (members and non-members) to be aware of all flying rules and regulations as established by the CRCM flying club in conjunction with the Forest Preserve District. These rules and regulations are established to keep all users of these facilities safe and their time here enjoyable. 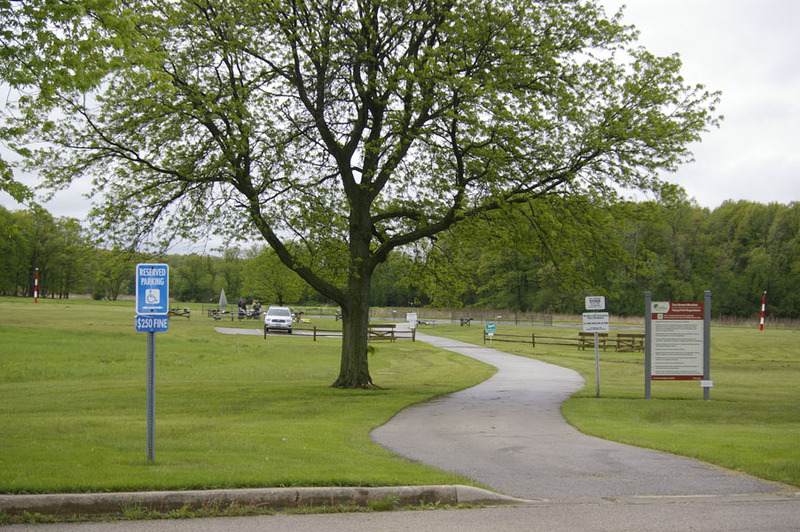 PLEASE, take time to read the posted signage at the entrance to the flying field and at the impound station. Following the rules will lead to a much more enjoyable and safe experience during this 2018 flying season. Here’s to HAPPY LANDINGS ! I can’t believe we have finished three of them already. Thanks to practically everyone for helping. Special thanks to Al Brose for calculating the scores and to Kevin Peterson for CD’ing when the experts were up. You were a great help because I was definitely suffering from the heat. Brian N. and Marcellino tied for first followed by Kevin P. It was a great day with (15) club members showing up. The expendable contest turned out to be much more challenging than I had anticipated. Thanks to Brian for showing us the way and and then to Marcellino followed by Kevin for turning in the best times. Results of Fun Fly #2 (June 11, 2017). Beautiful weather made for a great time. Thanks to all who participated. After visiting the flying field today, I was reminded that flying season will be, if not already, upon us. 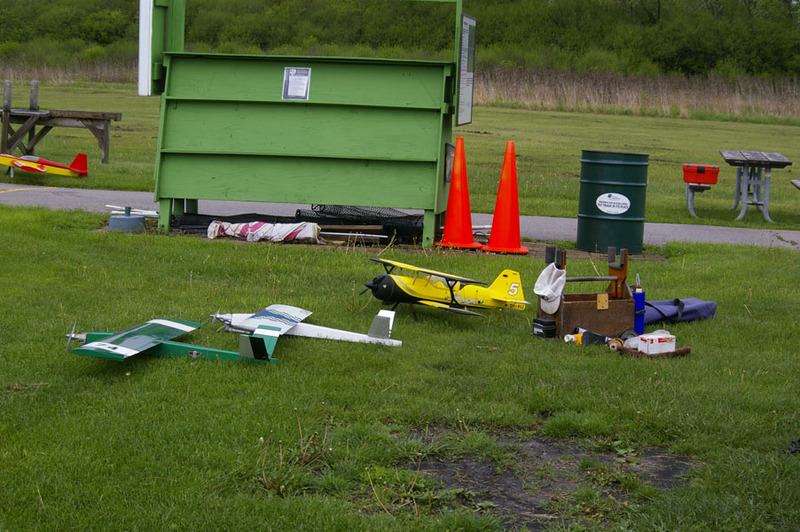 A trash container filled with crashed airplanes is a sure sign that pilots are itching to get the season going !